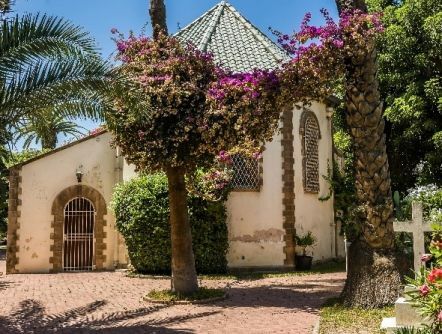 Bishop Robert's Advent Appeal for 2016 concerns St. John’s Anglican Church, a thriving English-speaking church in the heart of downtown Casablanca. 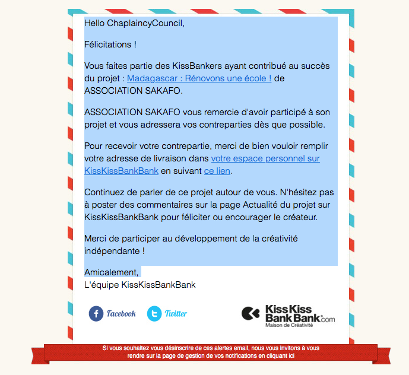 The organisation, SAKAFO, was created to allow students in France to raise money to support children attending a school in Antsirabé, Madagascar. 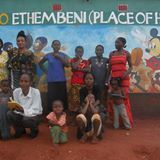 The school concerned has around 1500 children, all of who are extremely poor and who consider themselves privileged to be able to attend school, in what is a poor country. Click the picture for more information. 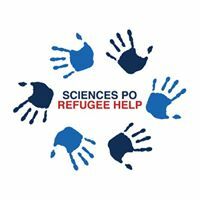 The goal of the Sciences Po Refugee Help association is to contribute to the improvement of the living conditions of refugees in every way possible. In 2016, we were specifically helping refugees in the Paris region. Click on the image to the right for more information. First A message from Roger - One of the charities our chaplaincy supported last year was Sciences Po Refugee Help. 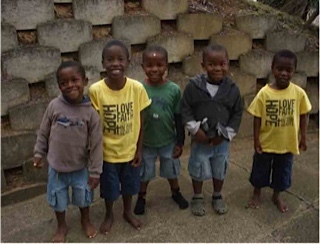 Cora Hopkins, a member of our congregation, is studying at Sciences Po in Paris and suggested the charity to us. Whatever your political views on the question of migration and what to do about it, remember that Jesus said we should feed the hungry, welcome the stranger, clothe the naked, care for the sick and visit those in prison (Matthew 25.31-46). In other words we should show Christian charity to those who are desperate, which the majority of these refugees are. Solving the international migrant problem is something that we hope and pray national governments will achieve soon. But I believe that, until they do, it's right for Christians to be actively kind to those who are displaced by the various conflicts. Cora has sent us the 'thank you' message below. Any political views expressed are her own (and incidentally mine) and not our chaplaincy's, because we aim to remain neutral politically. Concerning the very generous donation the church has made to my association, would you mind passing on this message to the congregation ? 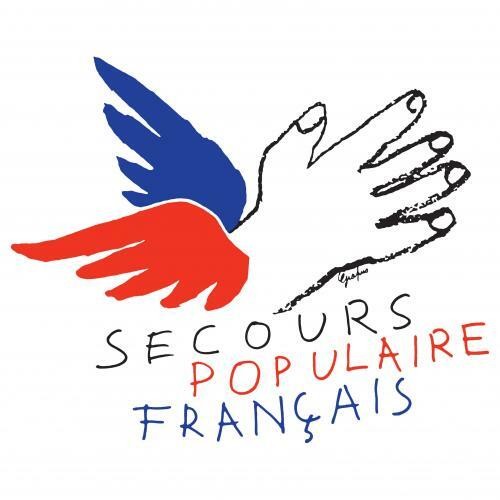 "The donation of 400 € to Sciences Po Refugee Help was very much appreciated. All donations are very well used and go directly to the refugees. A couple of weeks ago, my shift went to Decathlon and bought over 1000€ worth of hats, gloves, scarves, jumpers and survival blankets. It is cold up here in Paris as you can imagine and the police often confiscate the tents so this material help is very valuable ! The same evening, I went out to distribute what we'd bought. We go to the North of Paris, where there are still large groups of refugees left to their own devices (there is a humanitarian centre that is too small to accept all of them, and helping them is becoming increasingly difficult considering pressure from the police, you may have heard of volunteers being banned of distributing food and hot drinks, and getting ridiculous parking fines while distributing essentials to them). The story of a young Afghan was particularly moving. I started speaking to him after he asked me something in German. He had spent two years in Germany, he had been in the process of getting a qualification in some kind of metal-work, he had learnt German surprisingly quickly and well, he had made friends there and was living with his brother. Unfortunately, when he went to his interview (where the asylum seeker has to tell his life story in 15min), they didn't believe what he had to say so he did not get the refugee status and had to leave Germany. When I talked to him, he had only been in Paris for a week and he was pretty depressed at the prospect of having to start everything from scratch again. This story reflects what thousands of young men are going through, and associations like SPRH truly help to alleviate as best they can their situation, faced with the stubborn and short-sighted (and I would say inhuman) way the state is dealing with this humanitarian crisis. So thank you once again for your valuable support !"